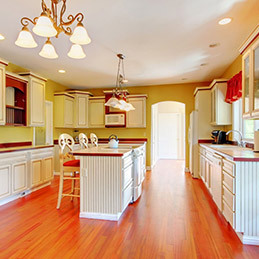 MCF Construction, Inc. is your place for Quality Interior Remodeling. Let our seasoned tradesmen combine their years of experience and talent to transform the interior of your home. Whether it be a new kitchen, bath, or simply updating a room, we can make your dreams become reality. Call us or contact us through the website today for a FREE estimate.